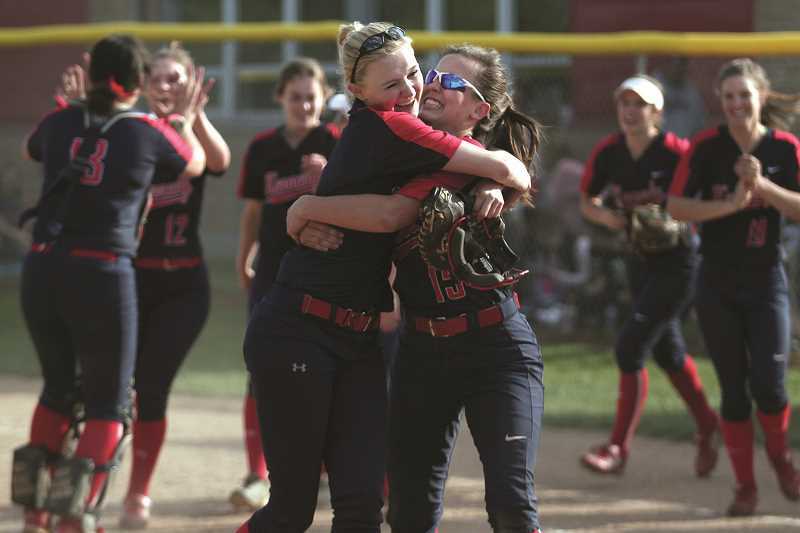 Powered by state championships in girls basketball and softball, Kennedy continued its recent dominance in the Oregonian Cup, placing first in the 2A Classification for the third consecutive year. The Trojans were consistently elite in all three sports seasons, finishing in the top-five in 2A in five other sports (volleyball, girls cross-country, boys basketball, baseball and girls track and field) to win the competition, which is a blend of athletics, academics and activities. What was new this year was the competition: Local Tri-River Conference rival St. Paul surged from 20th in the 2016-17 rankings to second this past year to record its highest finish in school history. "I feel like it was a combination of four years of work, by teachers in the classroom and by coaches at the 2A level, and great commitment by a group of kids," St. Paul principal, athletic director and football coach Tony Smith said. "Whether it's boys or girls athletics, you're talking about the same kids, for the most part, in each of those sports, whether they're starters or bench players or all-stars. They all contribute to that through the academic piece and our teams have continually been very strong in that area, which has really helped us." While off Kennedy's pace of 2,442.5, the Buckaroos scored 1,967.5 points to surpass their previous high of 1,805 from 2010-11, when they placed fourth in 1A. Despite having the lowest enrollment in the classification, St. Paul has performed well athletically since moving up to 2A in 2014-15. That showed in Oregonian Cup finishes of 20th, 10th and 20th their first three seasons, but the Bucks took it to a new level for their last hurrah in 2A in 2017-18. In the fall, St. Paul was the No. 1 ranked football team for the majority of the season before being upset by No. 5 Santiam on a last-second field goal in the state semifinals, while the volleyball team had its best finish in 2A by placing fourth, and the girls cross-country team qualified for state for the first time ever. The girls basketball team saw its trend of steady improvement in 2A continue with a third-place showing in March, while the boys team posted a winning record for the first time since moving up and rose to fifth in league. This past spring, the Buckaroo baseball team made the 2A state playoffs for the second time, with the girls track and field team taking eight in state and the boys 24th. 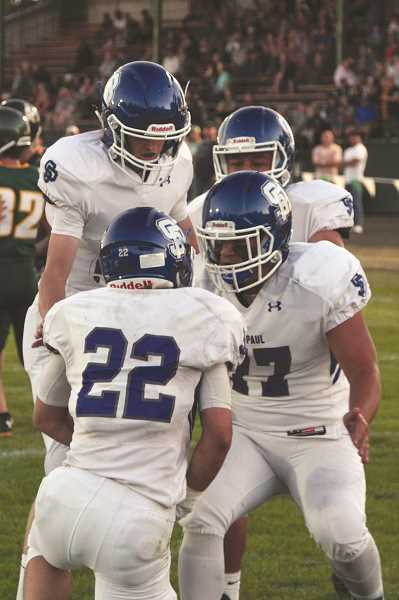 "We saw success in pretty much everything, even more than St. Paul is used to, especially with basketball," three-sport standout Justin Herberger said. The Bucks also excelled academically, which played a big role in their ascent up the Oregonian Cup standings. In the spring, all four athletic teams ranked in the top-10 of the Academic All-State standings, with the softball team finishing as the top overall team in their sport, regardless of classification, with a 3.92 grade point average. In addition to girls track ranking second in 2A (3.81 GPA), boys track fourth (3.33) and baseball fourth (3.54), the St. Paul choir was also sixth in 1A/2A at 3.65. That's all on top of impressive finishes in the fall, when football was first (3.55) and volleyball was third (3.82), and winter, as girls (3.75) and boys basketball (3.60) placed third. "Whether it's boys or girls athletics, you're talking about the same kids, for the most part, in each of those sports, whether they're starters or bench players or all-stars," Smith said. "They all contribute to that through the academic piece and our teams have continually been very strong in that area, which has really helped us." For Smith, a big key to the school's athletic success, both this past year and for the four years it's been in 2A, has been its mental approach to moving up a classification. "You can either embrace it or you can not and a lot of the times that's what the result is going to reflect. So we worked real hard before we ever went up to 2A to talk to everybody — kids, coaches, community, everybody — about how we run great programs, championship programs," Smith said. "Our kids are unbelievably committed. Our coaches are committed. So we talked about there being no reason that we won't have the same kind of success at the 2A level that we've had at the 1A level." Smith added that moving up a classification isn't as rough now that there are six classifications instead of four, but that shouldn't diminish the Bucks' achievements. Smith said the school was also fortunate to have not two, but three strong and deep classes — last year's seniors, juniors and sophomores — driving its success the past few seasons, culminating in the crescendo in 2017-18. But at the same time, St. Paul also has built a strong culture around both athletics and academics that formed the foundation that helped most recent classes make the best of their talent. "There are just some of those intangible things and if older kids are doing them, then the younger kids do, too — that's just the way you do it," Smith said. "So we've been lucky, I think, in that respect, where you get kids who are committed and the younger kids see that and then it just perpetuates itself." Part of that culture, too, is an excellent participation rate, which St. Paul enjoyed for years but still maintained despite building up programs like baseball, softball and cross-country in recent years. "Our participation rate is just unbelievable and that is another piece that allows us to have consistent success because the talent is going to fluctuate," Smith said. "If you can keep your participation high, you'll have a chance to be consistently competitive." The recently-graduated class of 2018, which was very deep, will certainly be missed in the coming school year, but the incoming senior and junior classes are poised to continue St. Paul's success as they head back to 1A for the next four years. "The upcoming juniors are a talented class," Herberger said. "I think if we can mesh with each other and play hard, we can do some good things. I think we're going to have some success, but we're going to have to work really hard. Hopefully it turns out well for us."